You never know what will sell a home these days. I recently think I’ve discovered the magic trick. My sellers discovered these abandoned wine barrels when they bought their home a few years ago. Like any good home owner instead of tossing them into the local land fill the wine barrels became a special kind of backyard ornament. Now that the time had come to sell their home the question was asked on whether to remove or not to remove. As their agent I couldn’t recommend removing wine barrels. And true to form the wine barrels proved their magic and served the home as well as a wine barrel could. The home sold in under a month and the new buyer specifically wrote the wine barrels into the contract in order that they be left on the property. So, the new owner will continue homage to these fine backyard monuments. 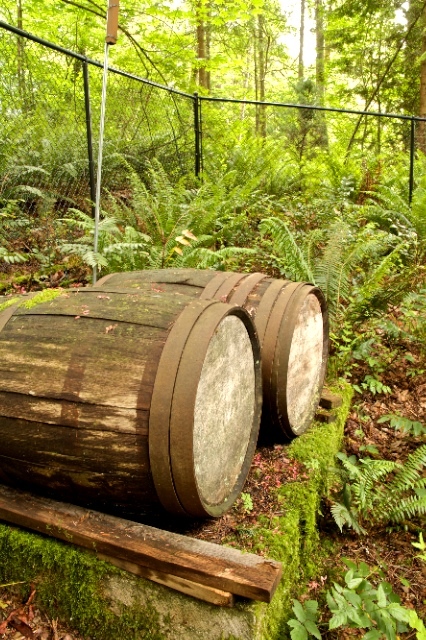 My expert tip to sell a home in this tough real estate market…find some wine barrels!